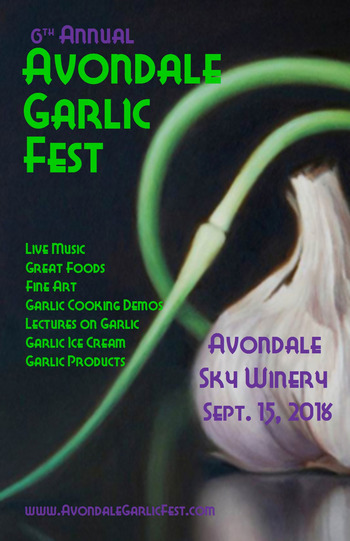 Celebrate Nova Scotia's many garlic growers while enjoying live music, fine art, great food, cooking demos and more at Eastern Canada’s largest garlic festival, all happening on the picturesque Avondale Sky Winery grounds. Attending this year are 30+ garlic producers and vendors, 30+ artists and more than a dozen food and beverage vendors. Free parking will be available across the street from the winery in a neighbouring field, as well on the street. Parking for those who are mobility challenged and for Sky Club Plus members will be available in the winery lot.